← This is my killing curse. There are many like it, but this one is mine. Brand new, unfired pistol with Novak sights, flared mag well, extended (16rd) magazines. 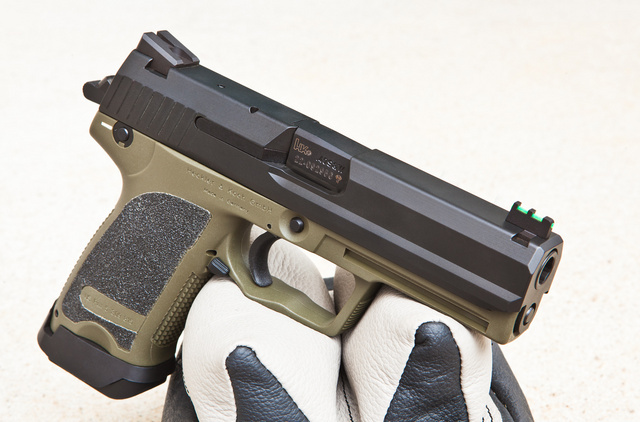 The trigger group allows cocked and locked or traditional double action with decocker. 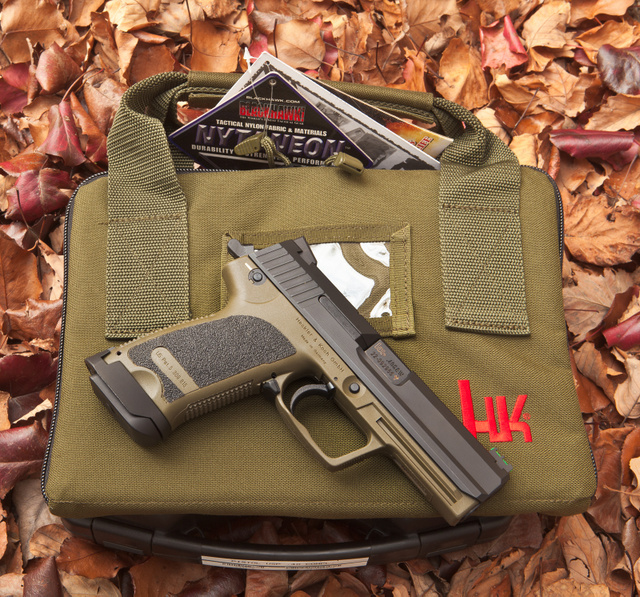 Comes with a color-matched Blackhawk pistol bag. My friend bought it several years ago but never got to fire it. Asking $1200. If interested, let me know and I will put you in touch with him. 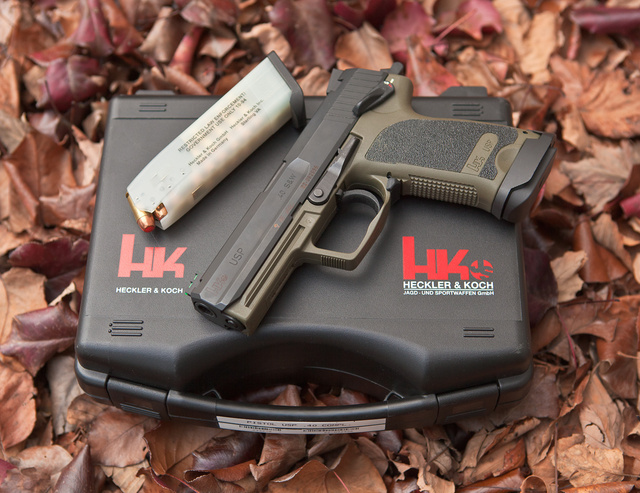 This entry was posted in pistol, weapon and tagged 40S&W, for sale, green, HK, USP. Bookmark the permalink. Curious, that “restricted” legend on the magazine. Does that matter since the 10 round limit expired? A plastic magazine seems like a very odd thing. One wonders if it stands up to regular use. Probably as well as AUG magazines. The legend is probably a carry-over from pre-2004 but may be relevant in certain states. Please email me your phone number. I let the owner know but he said that emails to you bounced. I don’t think emails to you are coming through. Please call Chris at (615) 585-6762 or email chris@archangel-industries.com to finalize this sale. During the “assault weapons” ban (or Public Safety and Recreational Firearms Use Protection Act, 1994-2004, RIP) new standard magazines had to be marked for military/LEO only, and restricted to them. Once the AWB expired, they became legal for us peons. I bought several marked Browning Hi-Power magazines, in part for the irony of using them in my Nazi-era pistol, brought back by my father-in-law. 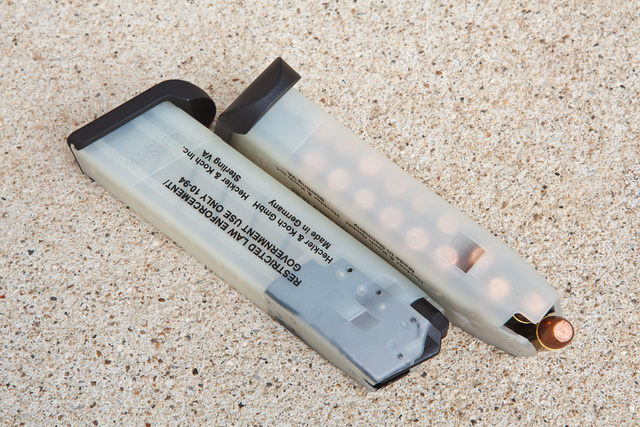 AFAIK the markings don’t mean anything under any of the few state laws limiting magazine capacily. That USP looks pretty nice. I like them but, yeesh! The last one I bought was 600 dollars. It was all black and didn’t come with the bag, but is otherwise the same pistol. Of course, that was back in the 20th century. 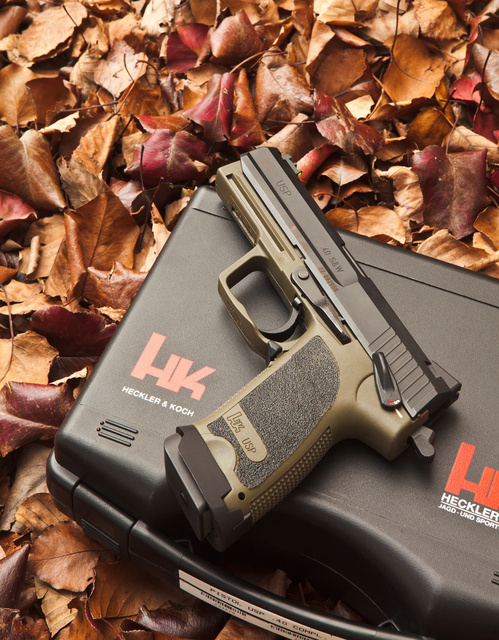 What’s so special about this HK’s that justifies the price? If it were all metal, all milled like a Sig P210, I’d understand. But it’s just another polymer frame browning action pistol. My CZ PO-7 came with two 16rd mags here in Kali, [someone is going to get yelled at]. Did they come with them, or did you have to have a gunsmith do the single shot conversion? Once you get home, you can undo the SSC. It’s how a whole lot of guns get around the CA roster.